Experience, expertise, and personal attention to you. We’ve spent more than three decades learning every side of the book industry. Because of that, we understand that every order, every author, and every opportunity is unique, and often needs the flexibility that only a dedicated personal representative can provide. So every order, every book, and every inquiry that comes through our organization—whether online, in the mail, or on the phone—is given careful personal attention and consideration by a real human being before we proceed to do anything with it. If you want to learn more about how we report our sales, see if we'll warehouse your book, or just want to talk about how your book fits in the marketplace, you'll want our Author Services. If you want to place an bulk order going to one location, see our Bulk Book Orders page. If you want to place an order of individual books going to many locations, you'll want to learn more about our Mass Book Mailing services. If you need books to be read on your electronic reading device and those of your employees, coworkers, or conference attendees, we offer mulitple ways to get eBooks in Bulk. If you'd like to have your books customized, regardless of how or where they're shipped, you'll need our Book Customization services. If you'd like to see us cover your book, head over to our page on Book Promotion and Advertising (where you'll also learn more about our book awards and bestseller list). 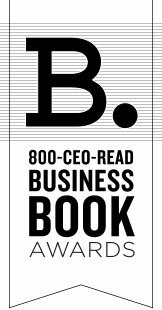 If you're with a business school or corporate learning program, read more about our Corporate Reading and B-School Fulfillment.